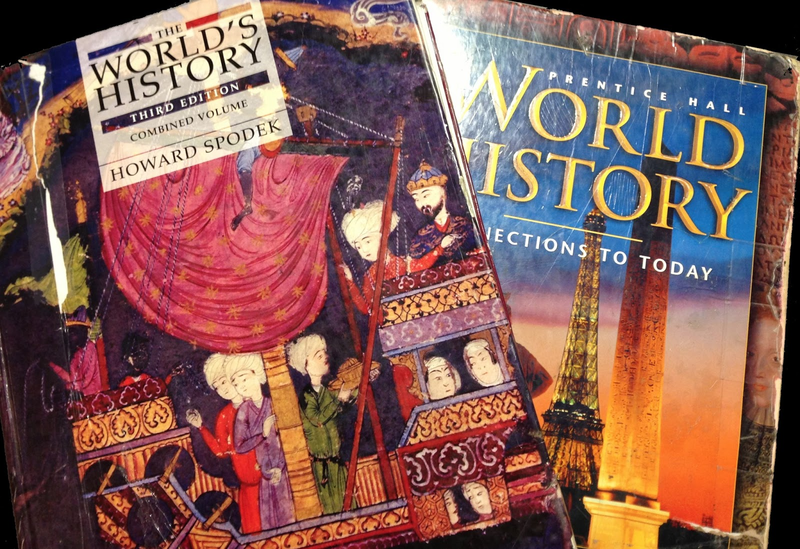 Your price quote of $67.97 per student per year for Spodek's 4th edition of The World's History does not work for us. Have any schools signed on for that? Frankly, it reflects distributor "out-of-touchness". With the print format, we spend roughly $22 per use ($130 book used for 6 or so years). The price you quoted would increase our per usage cost by nearly 300% while saving the publisher the expense of printing and shipping books. I can't imagine any school feeling fluid enough to agree to that - particularly in this economy. You mentioned a package that includes combination of print and electronic formats. How much does that cost? Since schools use print copies for more than one year, how does ------- provide electronic access that is commensurate with the life of the print copy? Are there separate purchasing models for browser-only access, downloadable, and a combination package? What are the costs for each? What provisions are being made for school library circulation? Are you aware of Connecticut House Bill 5614? Is ------- one of the companies lobbying against it? Could our school library buy 15 downloadable copies, download them to 15 mobile devices, and circulate those? If so, how would we pay for items, obtain licenses, download the content, and manage authentication? What safeguards would protect us from loosing those licenses if the device itself became damaged or require resetting? This is not an option we like, since we are trying to cut down on physical circulation, but I am curious. Alternatively, could we buy fifteen licenses for web browsing only (not download), add them as eBooks to our library management system (which requires authentication for access to eContent). If we registered our IP address and the sending URL for ------- authentication, students would not need re-authenticate to access ------- content as long as they were on A) on campus, and B) accessing resources as authenticated NCHS students. Does ------- have the capacity to recognize how many copies are in simultaneous use? If not, when will that technology be available? If it does exist, we could use the aforementioned model and ------- could configure circulation to terminate on the 16th simultaneous view. On our end, we could establish parameters for online viewing time limits via the library management system. I do want to know how much you would charge an individual consumer for the ebook including the download option. Can individual consumers purchase a browser-only license without the download option? Is there a limit as to how many devices to which one can download a title? Do you have an alternative rate for students with IEPs? These are tough questions, but we've been waiting for a digital version of this textbook for a decade, and now that it is available, it is so prohibitively expensive that it might as well not be available. I can't help but wonder if this is intentional. The print item is still the cash cow for publishers, and ------- pricing ensures that in spite of our reluctance to do so, we will continue to buy print. What a waste of time, physical strain, trees ... and the list goes on. I've long maintained that no K-12 textbook provides content that cannot be curated from YouTube, Wikipedia and Twitter combined. ------- is pricing itself out of the textbook market because faced with these price points, resourceful educators will eventually find alternatives to buying textbooks at all, regardless of their format. I am cc'ing our school's social studies department chair, ------- We eagerly await your response. If you prefer to answer these questions verbally (which is how I would have liked to ask them, by the way), we are open to a Skype meeting.